No, joking aside! Our mousse has nothing in common with the well-known “Mousse au Chocolat” and since some (including motorcyclists) do not know what it is actually good for, how it should be used, maintained and treated. Here a few lines about it. X-GRIP Mousse replaces the tube in the tyre and offers you safe protection against flat tyres. Of course, Mousse is not undestroyable, but it can withstand a lot. Not for nothing else almost all top hard enduro riders of the world trust in Mousse. This is why his use is becoming more and more popular among hobby riders. Its advantages are obvious, because of its resistance a puncture is almost impossible and with the right compound the grip is guaranteed. No matter if in the desert of Africa or in the Romanian forest, with X-GRIP Mousse you are on the safe side. X-GRIP offers Mousse is available in different sizes for motocross, enduro and also in children sizes. 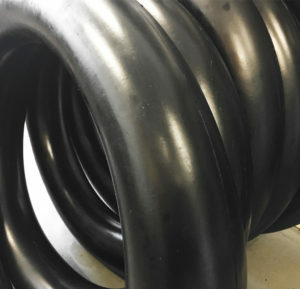 A very soft compound for extreme enduro rounds of the product range. Something very important, which unfortunately is often ignored! Tyres with the same dimensions but from different brands or even models usually have a different inner volume. So you can’t say that e.g. a 90/90-21 mousse fits into a 90/90-21 tire. In this table on the right all tyre – mousse combinations are listed which have been tested by us. This guarantees which mousse is best suited to which tyre. On the right side, in the table, you will find the columns Extreme, Soft, Normal and Hard. This describes, among other things, the field of application and the hardness of the mounted wheel. 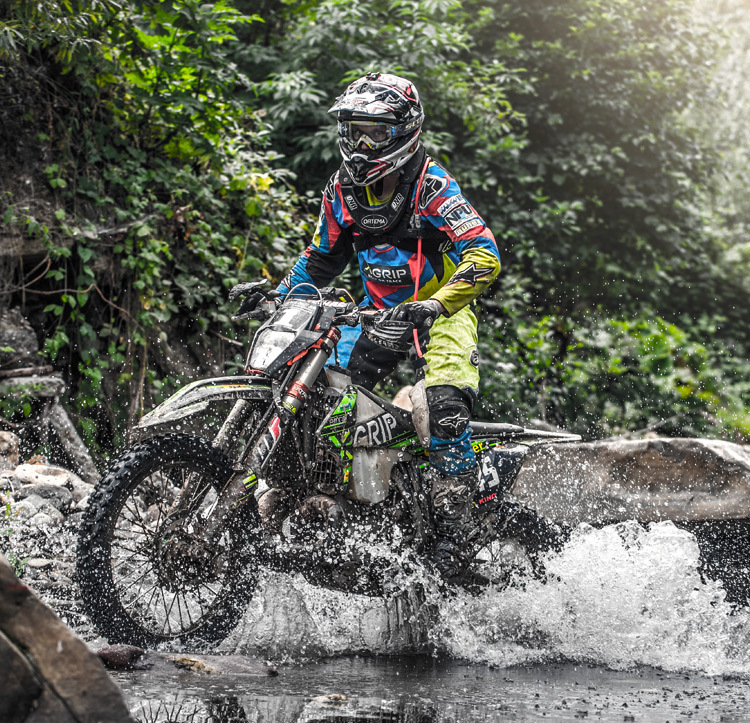 “Extreme” is definitely used for hard enduro like the Erzbergrodeo, whereas “Hard” is more suitable for rallies and fast missions.